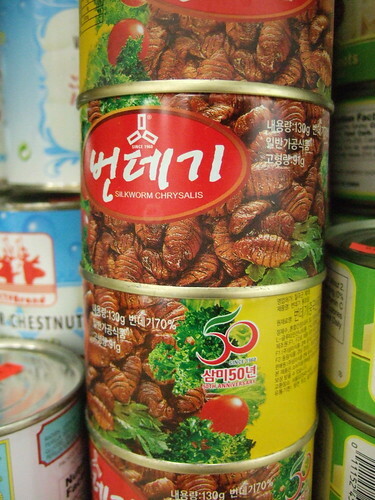 When i came across this bizarre item in the Asian store I thought to myself that it looked like canned bugs. It wasn’t until i came home and uploaded the photo that i realized there was an English description on there Silkworms Chrysalis! Yum-o!